Hormonal changes. There are some conditions where you may experience hair loss, such as childbirth, thyroid issue, menopause, and pregnancy. Stressful events. Stress can affect your entire body’s system, especially your immune system. When the pressure is too much, it can cause your hair to fall. This problem, however, is usually temporary and your hair will grow back again in no time. Supplements. Some supplements may affect the way your body functions normally, and it also affects the strength of your hair. 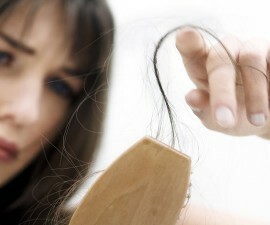 Supplements or medications for heart issue, high blood pressure, arthritis, gout, and depression can cause hair loss. It is advisable that you see the doctor when the level of hair loss worries you. When you experience sudden hair loss at some worrying pace, you should find a professional expert and have yourself tested – just to be sure. Light microscopy. This is an examination with a special instrument. With this tool, your doctor can learn whether you have problems with the hair shaft. Scalp biopsy. The doctor will take samples from the skin. They will scrape the skin or pluck the hair so they can check the roots. If there is an infection to the root, they will know it. There are some drugs or treatments that are viewed to be quite safe to deal with the hair loss issue. They are quite popular because most people would generally choose these medications first before they choose the advanced ones. 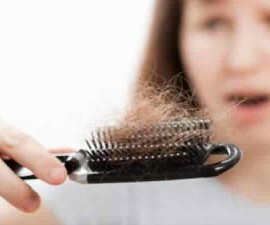 When your hair is thinning or falling, it is most likely that the follicles are the main cause of it. It is possible that the follicles are inflamed, causing it to be weak and fragile. Follicles can regenerate on its own but when it is inflamed, regeneration would be difficult, even impossible. The laser can reduce the inflammation happening to the follicles. If you think that laser treatment is always costly and done at the doctor’s office, think again. Nowadays, you can find home-based laser kit that you can use on your own. Based on several studies, doing the laser treatment twice a week can show positive results after 26 weeks. The follicles are growing stronger and they have their regeneration ability again. This is a medication that is often prescribed by dermatologist because it has been approved by the FDA. Women who experience hair thinning and hair loss often use this to treat their problems, and they really experience a positive outcome. Minoxidil can seriously increase the follicles’ size. Not only the hair strands will be bigger, they will be stronger too. Among the many types of options for hair loss treatment, a special shampoo is claimed to be quite helpful. You see, a special hormone, known as the DHT, is responsible for the hair loss. This hormone can restrict the blood supply to the follicles, causing them to be weak and then fall. Several shampoos and products contain the DHT-blocking agents that can prevent the hair loss. It is a type of supplement that is believed to make the hair strands thicker and also healthier. In most cases, the hair doesn’t get enough nutrients, vitamins, and minerals so the hair is weak and fragile. But if you make sure that you have enough supplements to keep everything going, you won’t have to worry about hair problem at all. Viviscal contains biotin, protein, zinc, niacin, and vitamin C needed by the body to produce stronger hair strands. How Do You Know If Hair Loss Is Hereditary? 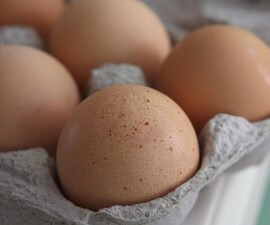 Which Part of Egg is Good for Hair Growth? How to Regrow Hair for Black Women!